This premium wooden tobacco pipe is made in the USA of top quality exotic hardwoods and averages about 4" in length. 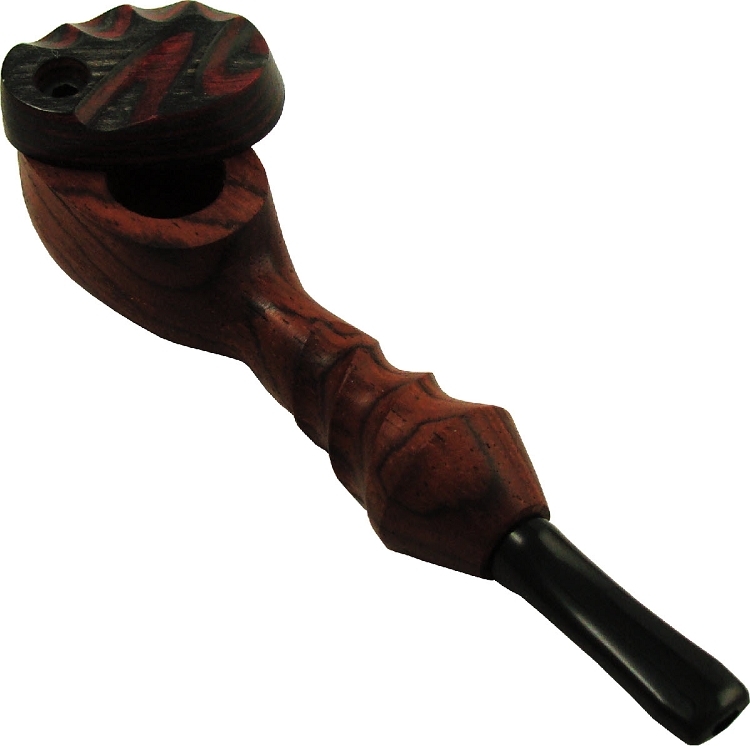 It features a sculpted stem, a sculpted rainbow wood twist cap and a plastic mouthpiece which is removable so the pipe can be used with or without it. Colors and finishes will vary. If you are looking for a cheap wooden pipe, please check out our selection under generic hardwood pipes but if you want the top of the line in materials and workmanship, then you're in the right place.